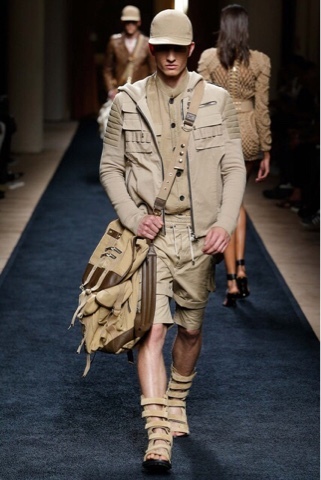 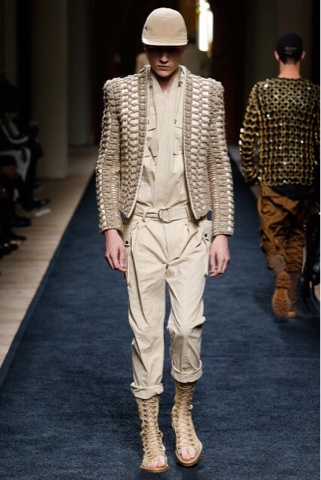 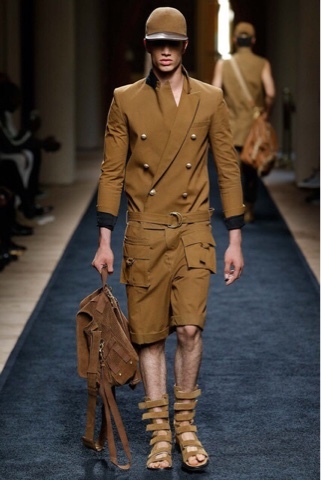 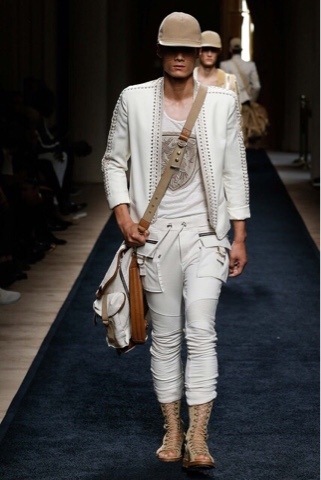 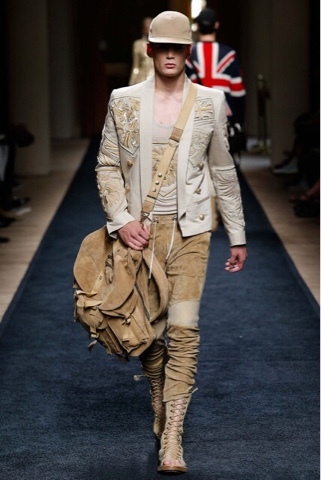 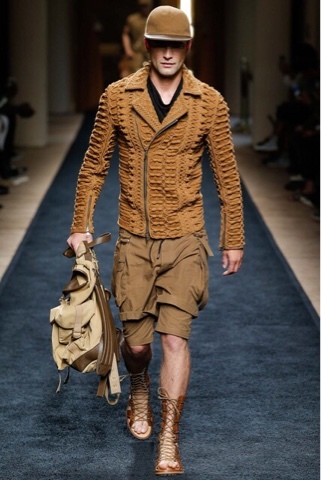 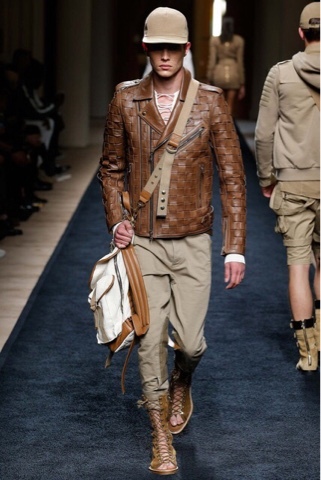 For Balmains first mens runway show Olivier took safari to the next level. 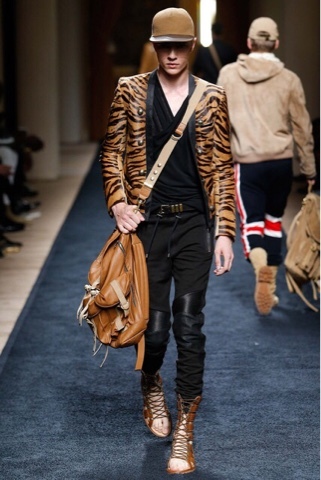 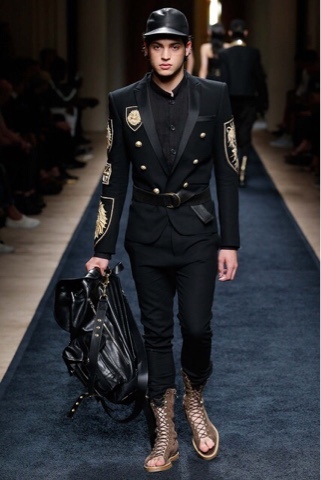 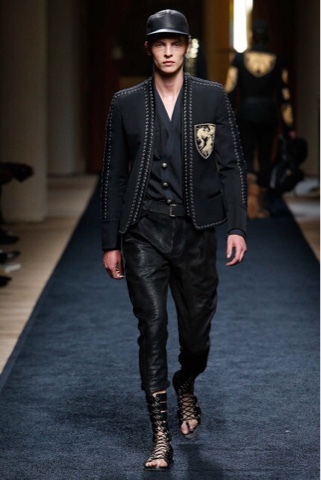 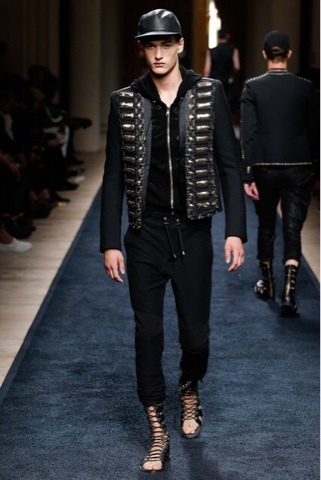 There were intricately crafted leather jackets, baggy dropped crotch pants, tiger stripped jackets and lots of gold. 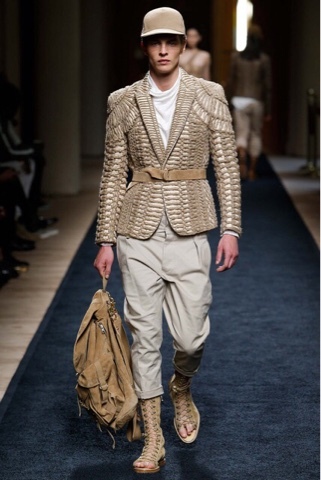 I loved the color scheme of black, cream, tobacco and khaki. 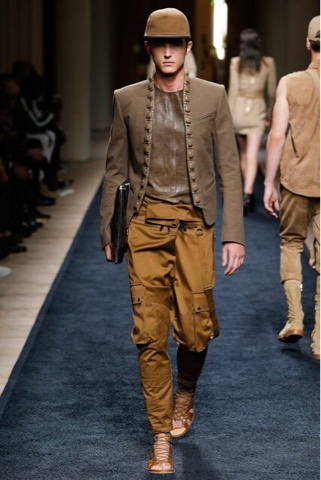 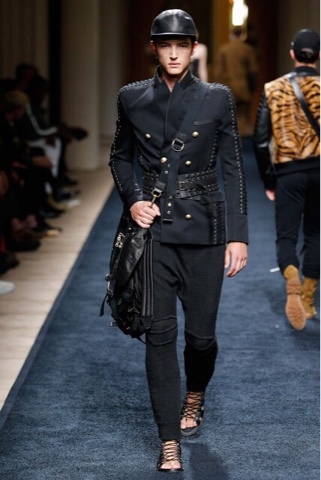 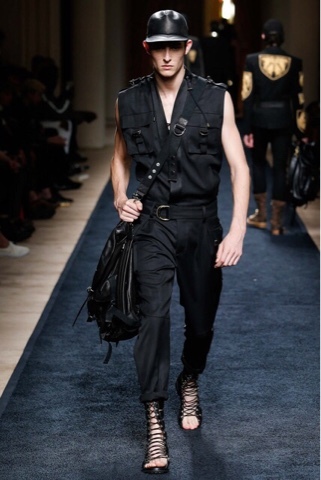 He also introduced gladiator sandals and waist belts for men. 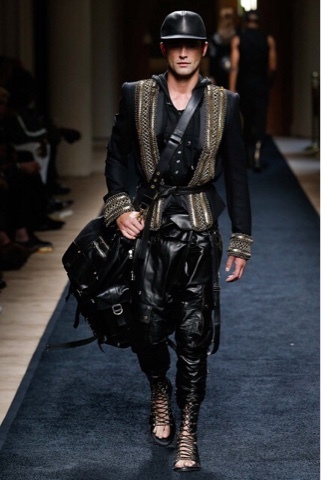 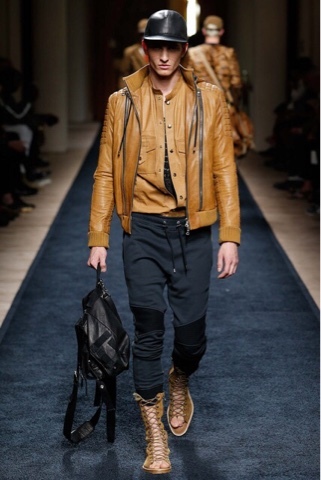 A few of my favorite pieces were the dropped crotch slouchy leather pants, the tobacco bomber, and all of the bags!